HR can help employees access training when and where they need it. Employee learning is one of the most important and rapidly changing functions of HR today. Digital technologies, mobile apps, video and the accelerating pace of work have reinvented what corporate education means. Let me briefly explain. What started with instructor-led training online (the early days of e-learning) has evolved into competency-based curricula, video-based tutorials, massive open online courses (MOOCs) and now micro-learning modules, which deliver instruction in short, specific bursts. HR leaders have had to deal with all this disruption while at the same time trying to build learning platforms and programs that are up-to-date. As the new world of digital learning begins to take shape, HR professionals have an opportunity to help their organizations adopt corporate learning and development (L&D) strategies that benefit their employees and the enterprise. Of course, there is no replacement for getting away from your desk to go to a training or offsite program and then having a chance to focus, reflect and apply its lessons. Deloitte’s research indicates that effective organizational leaders understand the value of allowing employees to take a break from their day-to-day jobs to explore new ideas, and they deliver solutions in multiple ways: through simulations, collaboration, meeting other people and enlisting experts. But people don’t always have the time or funding to go to offsite classes, and small companies likely can’t afford to deliver such instruction very often. Plus, employees often don’t retain important concepts once the courses end. In addition, while workers gain great exposure to company culture through classroom experiences, they still need on-the-job training. Accessing an easy-to-use portal that recommends content and shows them what others in their business function are using for L&D. Vendors Degreed, EdCast and Pathgather have these capabilities. Getting help finding courses that can advance their skills in a particular area. Lynda, Skillsoft and Grovo provide this option. Other vendors, including edX, allow users to earn micro- or nano-degrees in a new topic. Allocating 10 minutes a day to dig into precisely what they need to know for machine maintenance, manufacturing processes or safety, accompanied by regular timed activities built into their schedules that allow users to apply their newly acquired knowledge. Axonify offers this. Today, many vendors offer video platforms and complex software to help manage millions of courses and videos. These include Cornerstone, Oracle, Saba, SAP, SumTotal Systems and Workday. But we need more simple systems that bring all this content together in a compelling way and mobile apps that deliver easy-to-find material. Deloitte’s latest research shows that the L&D market is in the middle of a minor crisis. Most employees don’t give high marks to their organizations’ learning systems. This isn’t because corporate trainers aren’t working hard; it’s simply that the digital workplace emerged much faster than anyone anticipated, and it is taking time to build the next-generation solutions employees want. Right now, we all have high expectations for content. We want systems that are as easy to use as everyday social media platforms and search engines. But the business environment is far more complex: We have compliance-related training, new-hire orientation, and hundreds of company-specific topics and programs to deliver. So, if you’re an HR leader, take this opportunity to rethink your corporate environment and bring together a modern digital experience with all the face-to-face and multifaceted strategies that your employees need to succeed in their roles. This is the time to take digital learning seriously. Begin by taking a hard look at all segments of your workforce to identify one challenge you can address. For example, new-hire training might be a good place to start. Consider retaining a consultant or building a small team and then pulling together your organization’s resources to deliver a compelling digital experience for the group you have decided to focus on. You’ll be able to gain a lot of insight and position yourself for the explosive digital transformation ahead. Use data that is “learner- and business-focused” to formulate questions that identify current and ideal training needs. Pilot learning and development strategies, seek critical feedback and adjust strategies until the data show that the desired results have been achieved. Deliver modern learning experiences that meet users’ expectations. Activities can incorporate in-person and online instruction as well as hands-on application. Develop a tightly executed communication plan. Report the value of learning and development to participants and business leaders. Build a culture that rewards professional growth. A key component is preparing managers to effectively coach employees. 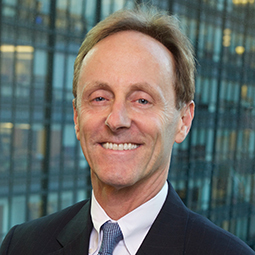 Josh Bersin is a principal and founder of Bersin by Deloitte, Deloitte Consulting LLP, a research and advisory consulting firm in enterprise learning and talent management. Illustration by Adam Niklewicz for HR Magazine. As used in this article, “Deloitte” means Deloitte Consulting LLP, a subsidiary of Deloitte LLP. Please see www.deloitte.com/us/about for a detailed description of the legal structure of Deloitte USA LLP, Deloitte LLP and their respective subsidiaries. Certain services may not be available to attest clients under the rules and regulations of public accounting.